Eichel and winger Jeff Skinner, the Sabres’ other participant in Saturday’s game, returned to practice today inside HarborCenter. Incredibly, toward the end of the session, Skinner appeared to lose an edge and slid into Eichel’s legs, taking him out. Both players got up and kept going. Still, it could’ve been much worse. Based on the defense combos, Matt Hunwick, a healthy scratch the last 13 games, could return Tuesday in Columbus, the Sabres’ first game after their bye week and the NHL All-Star break. Hunwick skated beside Marco Scandella. 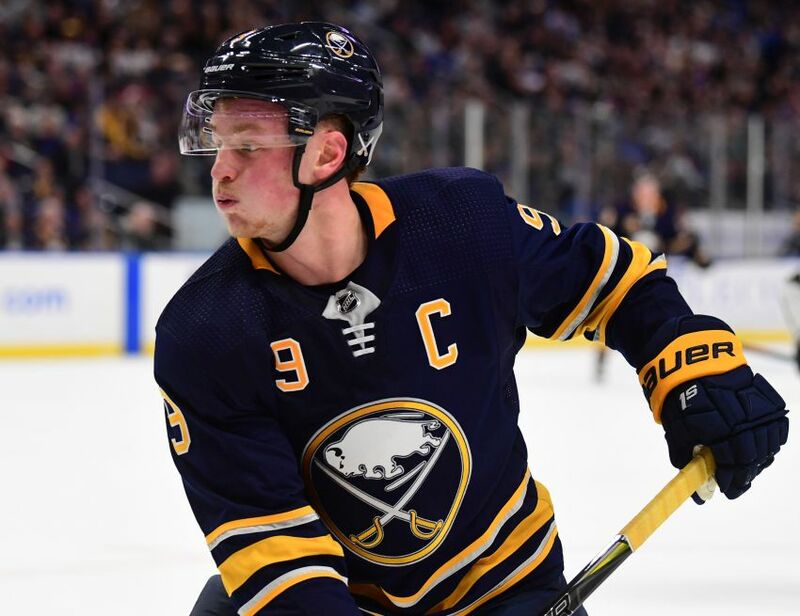 Sabres coach Phil Housley, however, wouldn’t reveal if Hunwick would dress. “It’s just good to be back together as a group, as a team,” Housley said. Hunwick, 33, last played Dec. 18, his second appearance after a neck injury sidelined him for months. Nathan Beaulieu and rookie Lawrence Pilut could be the odd defensemen out. Meanwhile, as the Sabres sat idle during their bye, some of the opponents they’re chasing in the standings kept playing and gaining ground. “It’s uncomfortable, right, because you’re seeing other teams, particularly Montreal, keep winning,” Housley said. The Sabres trail the Canadiens, who have their bye this week, by seven points but have three games in hand. The Sabres are four points out of the Eastern Conference’s last wild card spot. Now comes the RECKONING ! Can this team rise to the Challenge ? Can they play every shift, every minute, with the intensity and smarts to get them into the playoffs ? Why scratch Pilut, especially if Scandella is in. PH is totally baffling.